I started this blog because I believe the world needs more sociology. In a time when we are bombarded by an overwhelming stream of information, preoccupied with minutia and the inconsequential, and stressed by the demands of everyday life, it is important that we take a step back to consider the larger questions and to put our lived experiences into perspective. 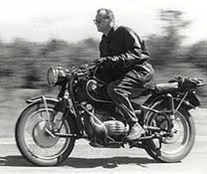 I take my cue from C. Wright Mills, a sociologist who defined the sociological imagination as a way of understanding the human condition by examining the relationship between biography and history. He wrote in the middle of the last century with an urgency about what he called the “main drift” as the country seemed to be moving inexorably in the direction of never-ending military expansion, perpetual war and increasing dominance by the “power elite”. Mills also feared that people in his time were becoming “cheerful robots” preoccupied with following the rules rather than questioning them; developing technology without considering its consequences; and focusing their lives on private consumption rather than on the well-being of their communities. These are concerns that resonate today. He was also critical of many academic sociologists for being mere “technicians” and “sociological bookkeepers” who were less interested in advancing understanding of the big issues than in advancing the “techniques of research” through increasingly narrow and esoteric research projects. Mills called this condition: “abstracted empiricism” in which social science becomes an “elaborate and arid formalism in which the splitting of concepts and their endless rearrangement becomes the central endeavor (1959: 23).” He contended that sociologists — and social scientists more broadly — had a duty to help people better understand the conditions under which they lived and to help find fruitful avenues to solve human problems. As sociologists, we know these solutions almost always mean changing social structures and institutions more so than the individuals who inhabit them. I am no C. Wright Mills, but I count myself as one of the many sociologists he has inspired to do work that is useful to the public and that increases our understanding of the human condition in our time. This blog is a modest effort to contribute to that goal.